I was taking a look at the stuff I had in my portfolio a couple of weeks ago and I realized that for all my love of the genre, I didn’t have any fantasy illos, and I decided to make these to remedy that issue. So there you go: pointy ears, illithids, dragons, swords, magic and goblins. I had a blast! 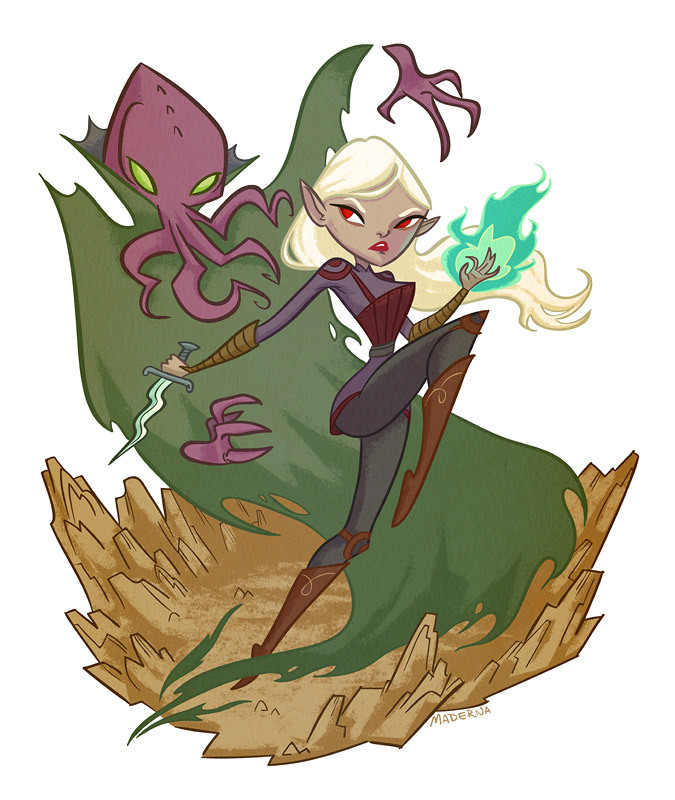 By the way, I stole the topic of “drow vs mindflayers” from one of the challenges at Jon Schindehette’s blog “Art Order”, it was way too full of win to pass! If you’ve taken a look at my website recently you may have seen these already (sorry!). Estaba analizando mi portfolio hace un par de semanas y me encontré con que, a pesar de ser gran fan del género, no tenía ninguna ilus de fantasía, y me decidí a hacer estas para remediar la situación. Así que acá las tienen: orejas puntiagudas, ilítidos, dragones, espadas, magia y goblins, me di el gusto a lo grande! Por cierto, el tema de “drow versus ilítidos” se lo robé a uno de los concursos que realizó Jon Schindehette en su blog “Art Order”, porque era demasiado genial para dejarlo pasar. Si se dieron una vuelta por mi sitio recientemente por ahí ya las vieron, perdón! these are truly great pieces i can imagine them animated . beautifull work friend !! Awesome! 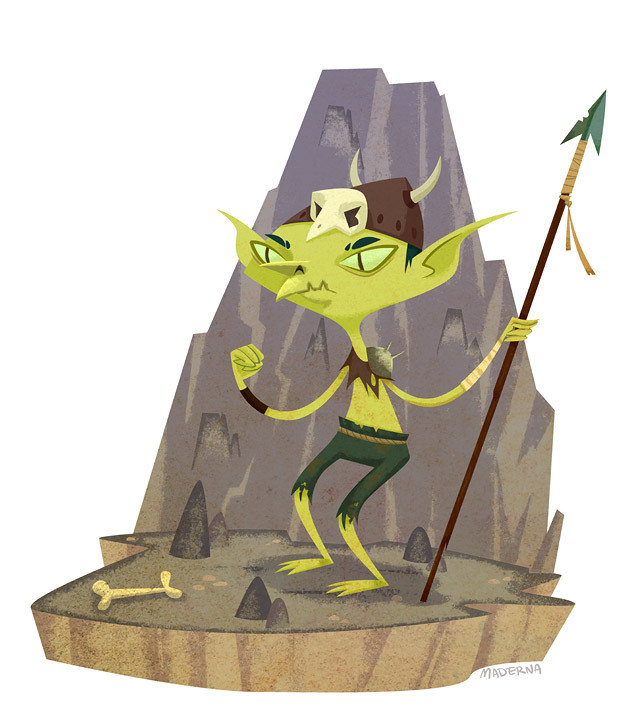 I totally love that goblin. Love the torn pants held up with rope, HA!